At MacCullock's we stock a wide range of car batteries and can ensure you get the right battery for your car. 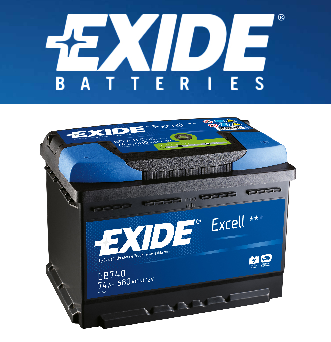 We stock high quality Exide Excell batteries all of which come with a three year warranty included. All our batteries are competitively priced and we don't charge for fitting them. If you need a battery it's most likely that we have the right one in stock to be able to fit immediately so you can get back on the road as soon as possible and if we don't have the right one in stock we can normally get one for you within as little as two hours. Why choose MacCullock's when you need a new battery?